Outdoor thermometers are great devices for anyone who spends time outside. You’ll be able to prepare for your day easily with an outdoor thermometer telling you the weather. 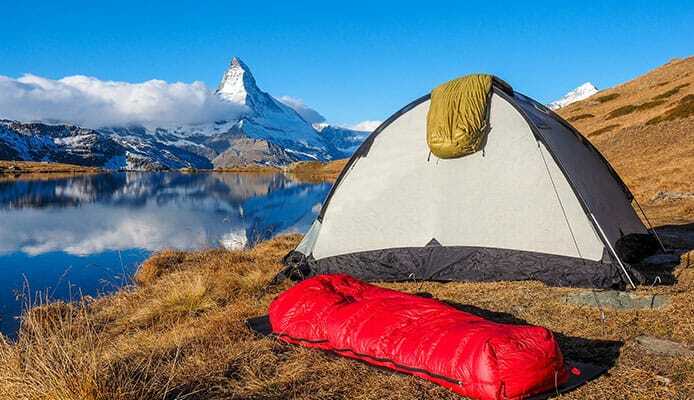 However, there’s so many features and different kinds of outdoor thermometers out there, so we’ve made a guide to help you find a great one for your life. 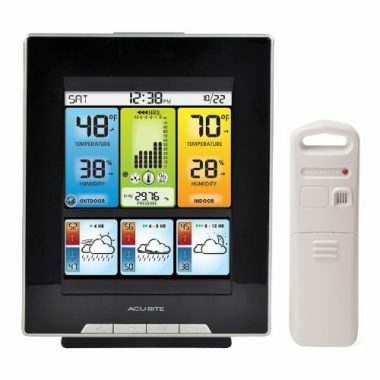 This outdoor thermometer is also an indoor thermometer that has a full color LCD display. It also displays weather icons to show what the weather is currently! You can set it to display in either Fahrenheit or Celsius. It updates on its own, so you won’t have to worry about setting the time or messing with sensors. This outdoor thermometer work to keep itself as accurate as possible. With this outdoor and indoor thermometer, you’ll have plenty of knowledge of your area! 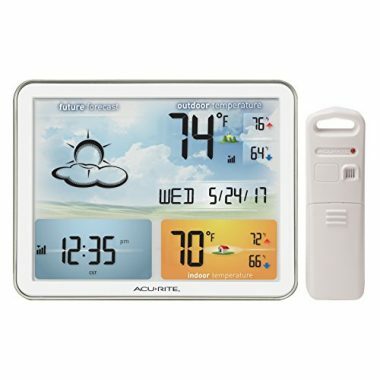 This outdoor thermometer is another full color LCD screen that works as both an indoor and outdoor thermometer. You can change the settings to show 12 or 24 hour forecasts that show 14 different icons to let you plan for your day ahead of you. It will also show you temperature records from the past as well! 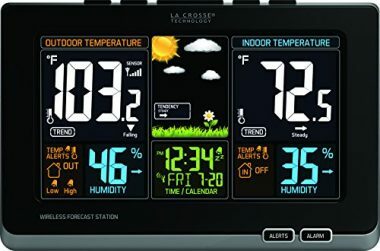 This outdoor thermometer has a sensor that can be placed within 330 feet of the station itself, so you’ll be able to keep the display somewhere convenient for you while still getting accurate information. The station and sensor trade information every 16 seconds, so you’ll constantly have up to date information about the weather in your area! This wireless outdoor thermometer measures outdoor temperatures and humidity percentages. It constantly shows a maximum and minimum temperature in the next 24 hours, along with showing humidity record percentages. You can choose to have this display in Fahrenheit or Celsius! With a 200 foot range, you’ll be able to set the humidity gauge in a reliable location while keeping the display screen somewhere good for you. There’s three sensors that come with it, so you’ll be able to scatter them through your yard and have a consistent and accurate temperature. This outdoor thermometer automatically collects data from a sensor you place in your backyard, and it can be up to 330 feet away from the station itself. The clock will automatically change when time changes, like Daylight Savings Time, so once you install the outdoor thermometer in your home and the sensor outside, you won’t have to worry about keeping anything up to date! The color display is appealing, and it looks great on any counter in your home. The tabletop design is sleek and modern, so everyone in the house can see the weather for the day. This outdoor thermometer also shows humidity, so you’ll be able to more accurately prepare for your day. 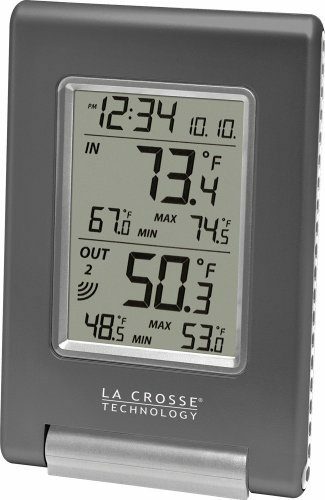 This is similar to La Crosse’s other outdoor thermometer, but its display is vertical. However, it still keep the full color LCD screen, and there’s a dedicated spot for the weather icons! It also has the self setting time and updates for the weather, so you won’t have to stress out about placing a sensor anywhere. It will also keep an eye on the humidity levels, so you can see a more accurate reading of the weather and prepare better, especially if you’re doing something like bass fishing. With this outdoor thermometer, you’ll be able to prepare for the weather accurately every time. This outdoor thermometer uses a sensor that’s placed within 330 feet of it to wirelessly record the temperature. It’ll also show you the indoor temperature, so you’ll be able to see the weather all around you! This outdoor thermometer also shows you the highs and lows for the day, so you’ll be prepared for everything. This outdoor thermometer keeps itself up to date with an atomic clock, so you won’t have to worry about changing the time or date or about the clock slowing down. The flat design is sleek and looks great in any home! This weather resistant outdoor thermometer goes flat against any window with an adhesive strip so that you can read the weather from outside. Since it is in the sunlight almost constantly, this outdoor thermometer has a layer of UV protection for its digital display. It’s extremely easy to read, and it doesn’t take up any space in your home at all! The display shows you the current temperature along with minimum and maximum temperatures that reset daily. This outdoor thermometer displays in Fahrenheit, so you’ll be able to see readings from -13 degrees to 158 degrees that are accurate within half of a degree! 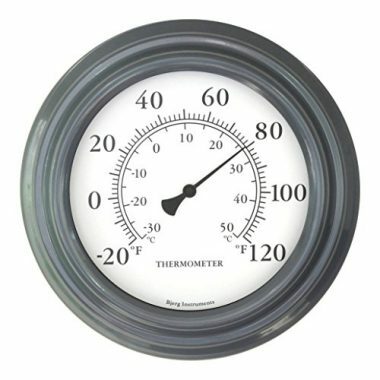 This outdoor thermometer is meant to look great in your home with the circular clock-like design. 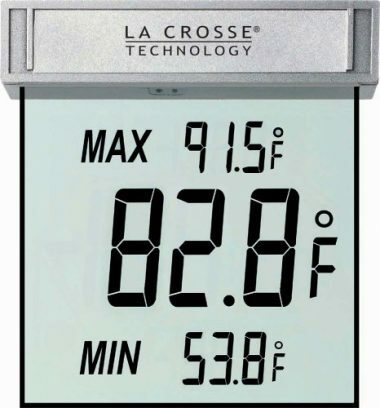 At 8”, this outdoor thermometer is extremely small with its dial face design. It shows both Fahrenheit and Celsius, and it’s adjustable as well. With 8 different colors to choose from, you’ll be able to match this thermometer to anything inside or outside your house. There’s no sensor to mess with, so you simply place this wherever you want to record the temperature. This outdoor thermometer is extremely small and simple, making it great for just about anybody or any home. You can choose to get multiple consoles to display the temperature all around the house, keeping everyone informed of the weather outside. Each console can read the same sensor, so you won’t have to worry about placing another sensor with every console. The display shows you both the indoor and outdoor temperature, so you’ll be able to tell you what the temperature is in every area of your life. You’ll be able to prepare for your day from anywhere with this outdoor thermometer. 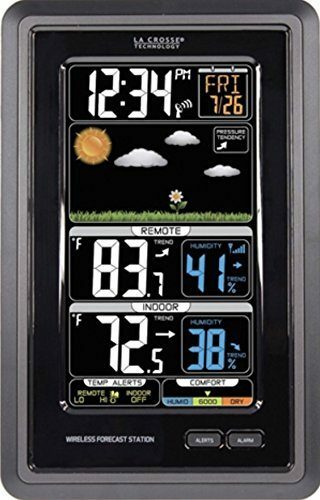 This outdoor thermometer will show you anything and everything you can think of when it comes to the weather. You’ll be able to see indoor and outdoor temperatures, the humidity levels, the barometric pressure, and daily highs and lows. The color display will let you read all this information easily as well! With all the information that you’re seeing with this outdoor thermometer, you’ll need to place one sensor within 330 feet of the station itself. After that, you won’t have to worry about changing the date or time as the thermometer has an atomic clock that keeps track of all of that information! 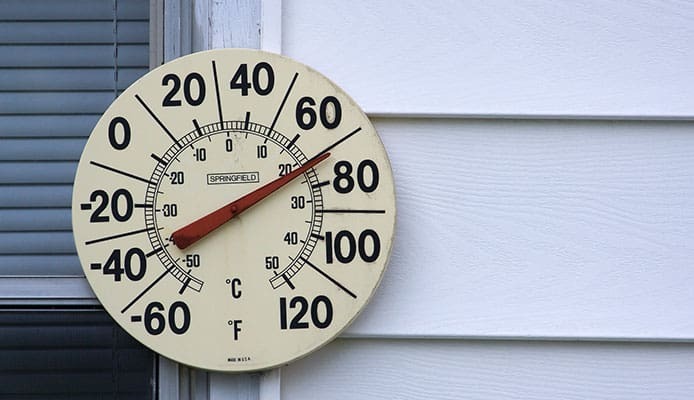 When you’re looking to buy an outdoor thermometer, you’ll want to think about the display screen and what kind it is. There’s a few different options you have, and all of them are a kind of personal preference. You can think about color and LCD screens. Outdoor thermometers can be in color or black and white. Both of these options work fine, but sometimes people find seeing temperature in color can be helpful as you can see a scale as well. The close to red, the hotter it is. You’ll pay more for color, but a lot of people choose to. With a color screen, you can get and LCD screen that shows colors more vividly than a standard screen. For most people, this works well and looks beautiful in their home. However, LCD screens can be difficult to read for some people if their eyesight is blurry at all. Just like anything else with a screen, such as waterproof watches, you’ll want to think about the screen size. Bigger doesn’t always mean better, and that’s especially true when it comes to weather displays. Sometimes a bigger screen just means bigger numbers, which can get overpowering quickly. While bigger doesn’t always mean better, smaller doesn’t necessarily mean better either. Smaller screens are harder to read than larger screens, and sometimes the numbers get too small if the outdoor thermometer is trying to display multiple kinds of information. In most cases, a bigger screen will be easier to read and display more information. You’ll want to make sure that the screen is proportionate to how much the outdoor thermometer is trying to show you! An outdoor thermometer is trying to show you information about the temperature, so you’ll want to make sure that the one you pick can do just that. You don’t want to invest money in an object that doesn’t necessarily work well. Some outdoor thermometers show weather forecasts for the week and other thermometers only project for the next 12 or 24 hours. There’s several options for you to pick from, so you’ll want to think about what you want. Typically the longer out the forecast is, the better off you are, especially if you’re someone who likes to plan ahead. Some outdoor thermometers can pick up wind speed and the direction of the wind. This is an important feature if you’re someone who likes sailing. 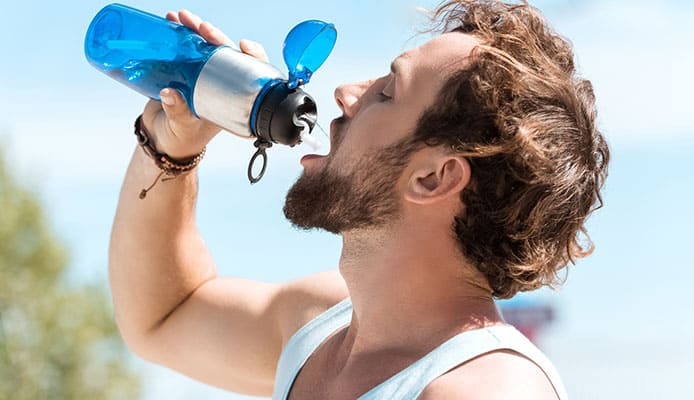 If you’re living on the water somewhere, this information can be useful for a variety of things, so outdoor thermometers with this can be invaluable. There’s different ways that outdoor thermometers can be powered, and it’s important to think about that when you’re buying one. There’s restrictions to each and every kind, so try to plan out where you want your outdoor thermometer to go before purchasing one. You can get outdoor thermometers that run off batteries. These will be able to go anywhere around your house, and all you’ll need to do is replace the batteries when they go out. There’s not too much of a downfall to these except buying batteries can get quite expensive over time. You can also choose an outdoor thermometer that is powered by an outlet. You’ll eliminate the cost of batteries, but you’ll have to keep your outdoor thermometer close to an outlet. Sometimes this isn’t the most convenient place, so make sure to plan out where you want it before picking one out. There’s also solar powered outdoor thermometers. These are easy and aren’t restricted to an outlet, but instead restricted to a sunny area. You’ll have to place these by a window or a door that lets the sun in. This can also be an inconvenient place for an outdoor thermometer, but you’ll save money on batteries and on your electricity bill with this option. 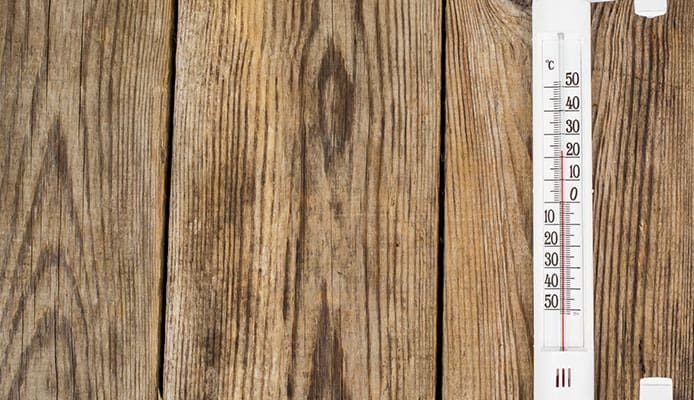 You’ll want to think about how much data your outdoor thermometer can handle before buying it. If you’re someone who really like to plan and think about the weather around you, then it might be helpful to look into an outdoor thermometer that can store data. 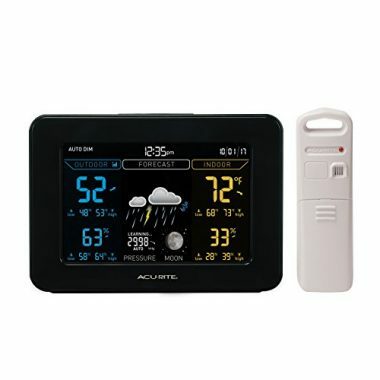 Many outdoor thermometers can store date that you can transfer to your computer and see the weather patterns of your area. You can see highs and lows as well as individual temperature changes through the day. If you’re someone who likes data, then this might be a great new hobby for you! Even if you don’t like data so much, there’s tons of uses for these kinds of charts. Being able to predict the weather in an area like a lake can help you fish better and give you a better idea of where to find fish. It’ll also let you think about the upcoming weather before any kind of fishing tournaments, so if you live on a lake, this is the perfect feature for you. Sometimes people find seeing temperature in color can be helpful as you can see a scale as well. The close to red, the hotter it is. You’ll pay more for color, but a lot of people choose to. It’s also easier to quickly glance at the screen and see what everything is by looking at the groups of color. You’ll often see data refresh rates being talked about with outdoor thermometers. The data refresh rate is how often the sensor sends information to the thermometer itself. This can be extremely useful information to know about an outdoor thermometer before purchasing it. If you live somewhere that constantly fluctuates weather, then you’ll want an outdoor thermometer with a high data refresh rate. You’ll be able to see the updated weather quicker and plan better. If the weather is constantly changing, then you want an outdoor thermometer that is constantly changing as well. Some people use outdoor thermometers as a reference point for the rest of the day. If you have an idea of the temperature at one moment, and you know the highs and lows, then you can have a good idea about how the rest of the day is going to go. If that’s you, then you may not need to focus so much on the data refresh rate when it comes to outdoor thermometers. You can get an outdoor thermometer that displays in either Fahrenheit or Celsius, and most of them offer both measurements. Depending on your region, you may want a specific measurement. Most everywhere in the United States of America uses Fahrenheit to measure temperature, while most places in Europe use Celsius. If you’re used to one kind of measurement, stick to finding an outdoor thermometer that measure temperature in that! It can also be a good way to learn the opposite measurement. If you’re used to Fahrenheit, then set your outdoor thermometer to Celsius occasionally so you can learn that too, and vice versa! There’s no harm in that, and it’s helpful if you ever plan on traveling. You won’t be restricted to going places that only show your temperature, making your trip smoother and easier. There’s so many different features that an outdoor thermometer can have. If you know what you want, then try finding one that has advanced things! Stored data and windspeed are examples of things that not all outdoor thermometers have, but there’s plenty of other features that outdoor thermometers can also have that weren’t mentioned. For example, some outdoor thermometers measure barometric pressure. This is great if you’re someone who has arthritis or if your bones get weak with storms and unruly weather. You’ll be able to predict the weather better and prepare yourself if needed. Some outdoor thermometers also have a UV index, another feature that might be interesting if you want it. You’ll be able to tell how harsh the sun’s rays are, which is extremely important if you’re someone who loves being outside. You’ll be able to keep yourself safe from the sun with this feature! Q: What is barometric pressure? A: Barometric pressure is a term that you often see in weather forecasts, and it’s something that some outdoor thermostats pick up as well. Barometric pressure is pressure that is caused by the weight of the air onto the earth. It’s something that impacts weather and the lives of people all over the world daily. Knowing the barometric pressure can be a helpful thing if you live somewhere that changes weather quite frequently. High barometric pressure means sunny skies, while low barometric pressure brings storms and rain. By keeping an eye on the barometric pressure, you’ll be able to see what the rest of the day holds for you, which is important if you plan on doing anything on the water, like paddle boarding. Barometric pressure is also associated with arthritis and other bone and joint pain. Many people notice that their body aches when storms come, and that’s because the barometric pressure is affecting their body more than others. It’s an old joke that older people can tell when it’s going to rain, but it’s partly true since their body is affected more by fluctuations in barometric pressure. Q: What about range and temperature accuracy? 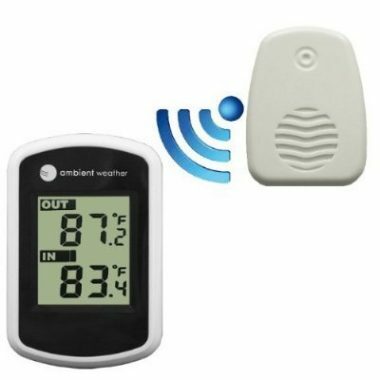 A: When it comes to outdoor thermometers, you’ll want to think about the range of the sensors as well as the temperature accuracy of whichever product you choose. The range and temperature accuracy usually go hand in hand as the farther away the sensor is from your thermometer can affect how accurate of a reading you get. Most sensors work within a few hundred feet, which is plenty of space for most people who own a home. You’ll easily be able to place it outside and have it reach your home. There’s plenty of room for most people to easily work with, so if you have an average sized home, then you won’t have to worry about this aspect as much. However, if you have a bigger home, you may want to think about where you want to keep everything. Temperature accuracy is a much more important thing to think about. You don’t want an outdoor thermometer that’s off by ten degrees every time you look at it. Most outdoor thermometers will fluctuate by one degree, but this isn’t typically a big change for most people. You can look at reviews of the thermometer before you buy it to see what people say about the accuracy of it! Q: What are the benefits from an outdoor thermometer? A: Owning an outdoor thermometer has a ton of benefits! You’ll be able to see tell the weather outside, and if you love being outside, then knowing what the weather holds is always important. You’ll be able to see the temperature, which helps you plan for your day much better than anything else. If you know the highs and lows for the day, and the current temperature, then you’re set to do whatever you want outside without any repercussions. The humidity level is also another wonderful thing to know, especially if you’re going to be doing something like swimming in your pool! Humidity has a huge impact on the temperature you feel, and sometimes being outside in the humidity isn’t enjoyable. Before packing up to spend time outside, an outdoor thermostat will tell you what kind of weather is waiting for you. It also can help people with arthritis or sensitive bones and joints manage pain. Some outdoor thermostats show the barometric pressure, which is associated with bone and joint pains. You can prepare for when pain is going to act up and be ready to take medicine if needed. This can help a lot of people, and it’s a useful feature for almost everyone. 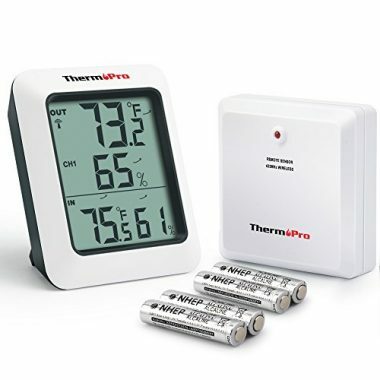 The best outdoor thermometer in 2018 is the ThermoPro TP60 Digital Thermometer. There’s so many classic features that it has while keeping a simple look that’s both easy to look at and easy to place. You’ll be able to see both indoor and outdoor temperatures with this, and with three sensors to spread around, you’ll have an extremely accurate temperature reading. This outdoor thermometer also shows the highs and lows for the day, letting you prepare as best you can while you’re getting ready for your day. 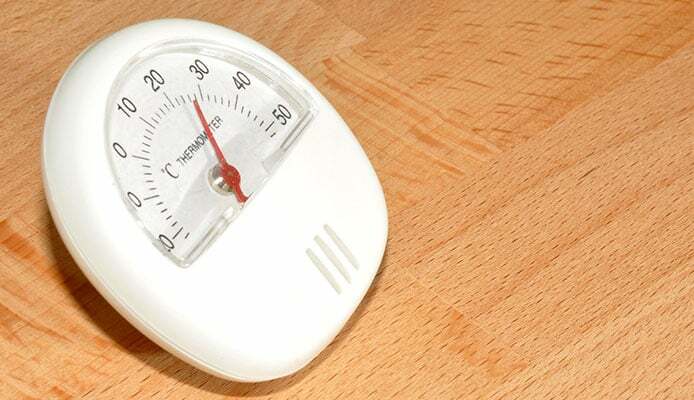 You also have the option of placing this on a table top or mounting it on the wall, giving you the versatility you need for an outdoor thermometer. This outdoor thermometer also shows you the humidity, which is important for knowing the temperature. Sometimes humidity can make it seem like it’s 10 degrees hotter than it actually is, and it’s great to know before leaving your house. You’ll be able to prepare for the day much better knowing the humidity. There’s also sking and allergy benefits that work with humidity, so you can help yourself in several ways with an outdoor thermometer that tells you the humidity levels like this one!